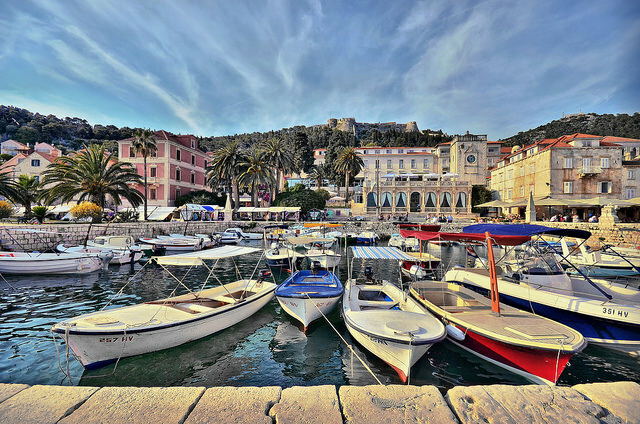 Croatia is one of Europe’s most idyllic and marvelous Mediterranean destinations. It has vast landscapes filled with one of a kind beaches and mountains. Although Zagreb is the capital of Croatia and it is a lively and cosmopolitan city, the towns on the list below represent the true Croatian lifestyle and tradition. Although it was part of the bloody and infamous Yugoslav war which had catastrophic results, the country nevertheless managed to preserve and rebuilt itself and today it has become a developed country thanks to its prosperous tourism and international funds. Because of its fine location and excellent transportation and roads, Croatia is easily accessible and can be visited by everyone. You can fly to Zagrab from anywhere in the world, but you can also take a flight to one of the surrounding countries. Croatia and the neighboring countries have good infrastructure so accessing the country is easy. Croatia is bordered with countries like Slovenia, Hungary, Serbia, Montenegro and Bosnia. It is a member of the United Nations, European Union, the council of Europe, NATO and the World Trade Organization. It is also the founding member of the Union of the Mediterranean. the first king of Croatia was Tomislav who founded the Kingdom of the country. The nation was part of other big empires, kingdoms and states and unions for centuries like the Kingdom of Hungary, the Ottoman Empire, the Habsburg Empire, Austro-Hungary and finally Yugoslavia. I strongly advise you to visit this unique country, not only because of its excellent architecture, but also because of the fact that it’s quite cheap and to understand the Balkan life that most people know little about. 5. The Cathedral of St James in Šibenik. 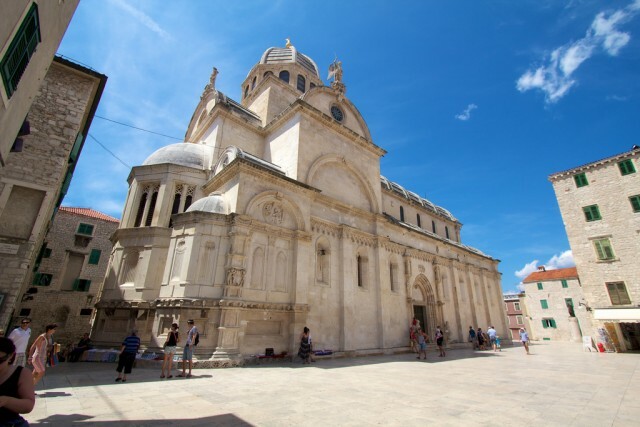 The Cathedral of St James in Šibenik (1431-1535) is one of the most unique cathedrals in the Adriatic and in fact the whole Balkans. 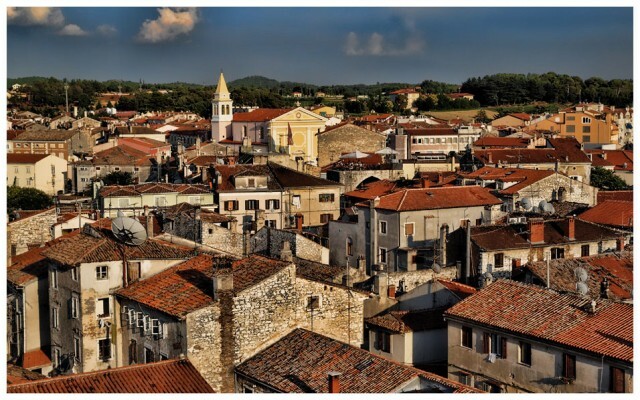 It is known for bearing the artistic influences of Northern Italy, Dalmatia and Tuscany. It is shaped very uniquely and is built completely of stone. Its Gothic and Renaissance frescoes and sculptures are remarkable. Like many Croatian towns, it has vibrant yet traditional beauty. The beaches are marvelous and the place has one of the most beautiful place ever. Split has a complex yet extraordinary historic center. It is big and beautifully preserved. 12th and 13th century Romanesque churches, medieval fortifications and also Gothic architecture like palaces, churches and houses from the 15th century make up the whole city center as well as Renaissance and Baroque elements. However Split is most well known for its ruins of Diocletian’s palace which were built during the 3rd and 4th century AD. Split is a bigger town so it is very cosmopolitan and vibrant and surely you will enjoy the crowd with its lovely beaches, sights and also cafes and shops. 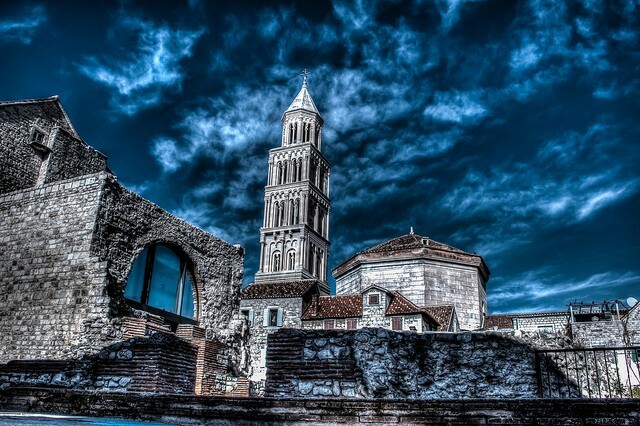 This typical lovely Croatian town is well known for its religious complex called the Euphrasian Basilica. The Episcopal complex is known to have been established in the 4th century when Christianity arrived in the region. It is one of the most impressive surviving examples of an early Christian church. It combines classical architecture with outstanding Byzantine elements in an exceptional manner. Like other Croatian towns and resorts, this place offers you a great beach. The town also has an incredibly beautiful town center. Because of the architectural legacy that the Venetian period left to Trogir, this destination is one of the most outstanding ones in Croatia. Baroque and Renaissance elements in buildings are very common. The city center has also an excellent Romanesque church and the town is also known for dating back even to the Hellenistic period and thanks to Greeks many fine public buildings were established. 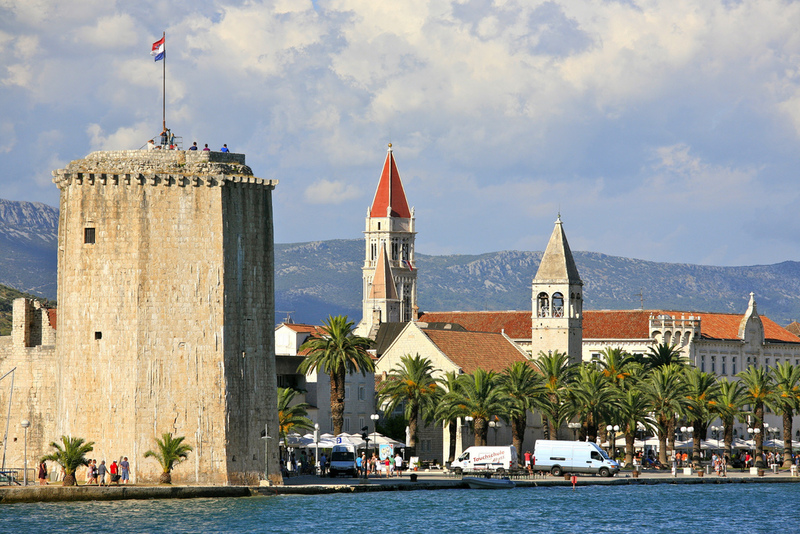 Trogir has an exceptional promenade that has charming view over the city and the sea as well. Dubrovnik without question is Croatia’s most outstanding historic town filled with tremendous history, architecture and art. 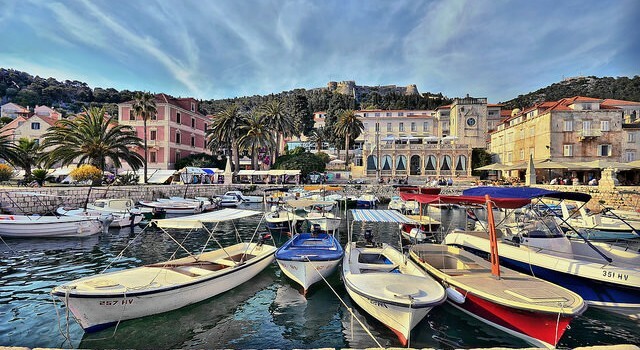 It is also one of the most beautiful places in the Adriatic and it has the nickname of “The Pearl Of the Adriatic”. 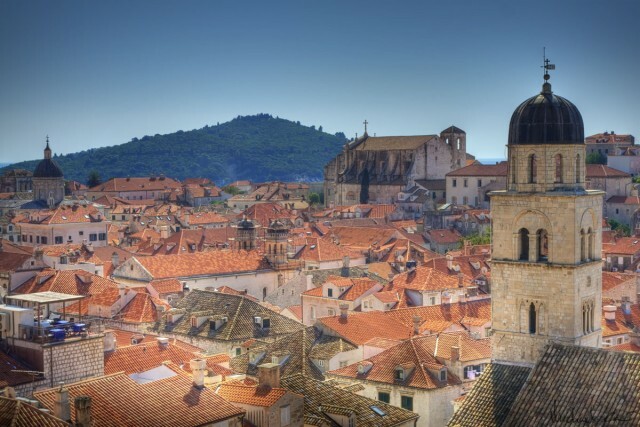 This ancient Dalmatian town is known both for its natural surroundings and stunning architecture of mixed Gothic, Renaissance and Baroque elements. The city was also well known for being a great power for centuries and although it was destroyed by an earthquake in 1667, it was restored and managed to preserve its heritage beautifully. The old town center is one of a kind filled with lovely buildings and outstanding cafes, shops and restaurants that would meet your needs in every point of view. Dubrovnik is also well known for its beaches. The Queen of the Adriatic.